One of the most revered phrases in motoring is “BMW M Power”. And, one of our favorite places to see the phrase is on an engine nestled into the nose of a 3 Series BMW. Thus it has been since the first generation BMW M3 appeared back in 1986, and thus it remains today—even with a new wrinkle in the canvas. If you follow things automotive, you probably know BMW has introduced a new numbering system for its cars. Henceforth, 3 Series cars shall be four-door sedans, and the cars formerly known as 3 Series coupes are now referred to as 4 Series cars. 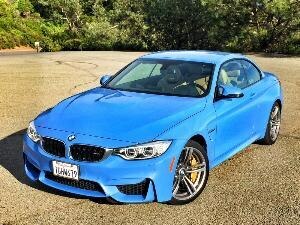 Which explains the slash in the title of this 2015 BMW M3/M4 first drive review. The good news is a mere 10 pounds of weight now separates the two cars, so by and large, what we say about one of them here goes for both. (And yes, it’s the M3 gets the additional 10 pounds). Speaking of weight, both cars are some 180 pounds lighter than the cars they replace, despite having more equipment and a more powerful engine. 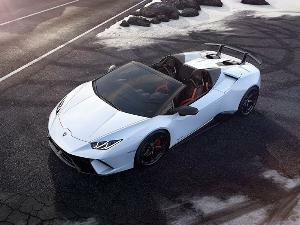 A carbon fiber roof, driveshaft, and trunklid; lightweight front and rear seats; and an aluminum hood, fenders, and suspension components save considerable weight. These elements are buttressed in that regard by forged wheels and reduced sound insulation. The new engine weighs less too. 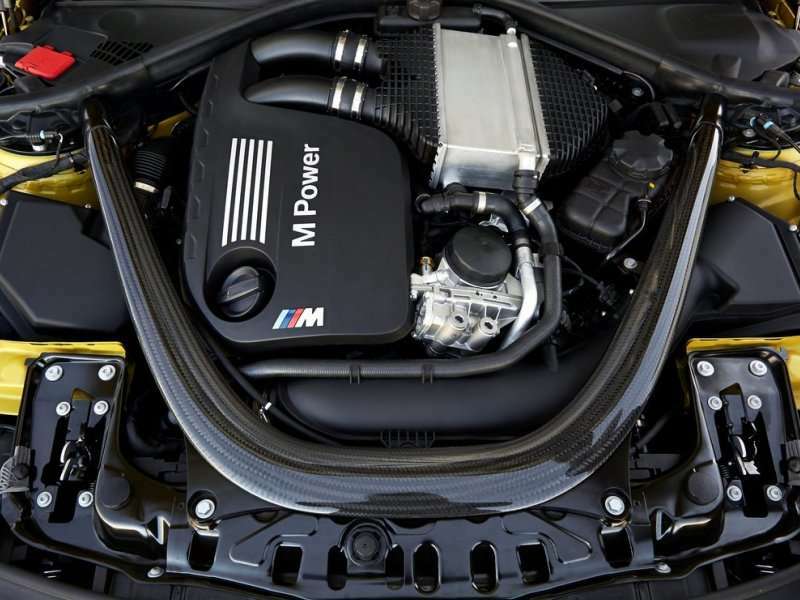 An inline six-cylinder engine fortified with a pair of turbos has replaced he V8 fitted to the fourth generation M3 sedan and coupe. The six makes a bit more power, and waaaaay more torque than the V8—so don’t let the loss of a pair of cylinders sway you. 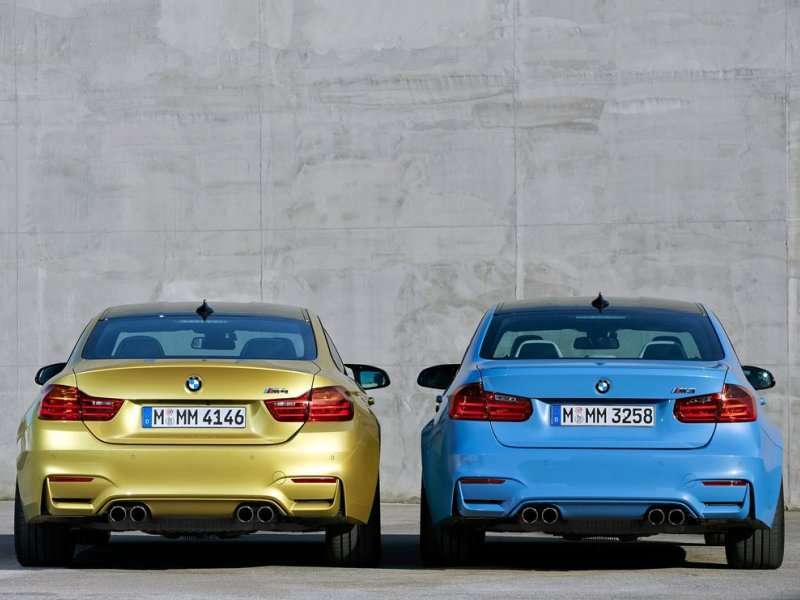 The four-door M3 sedan starts at $62,000 and the two-door M4 Coupe starts at $64,200. BMWUSA adds a $925 destination and delivery charge to both prices. 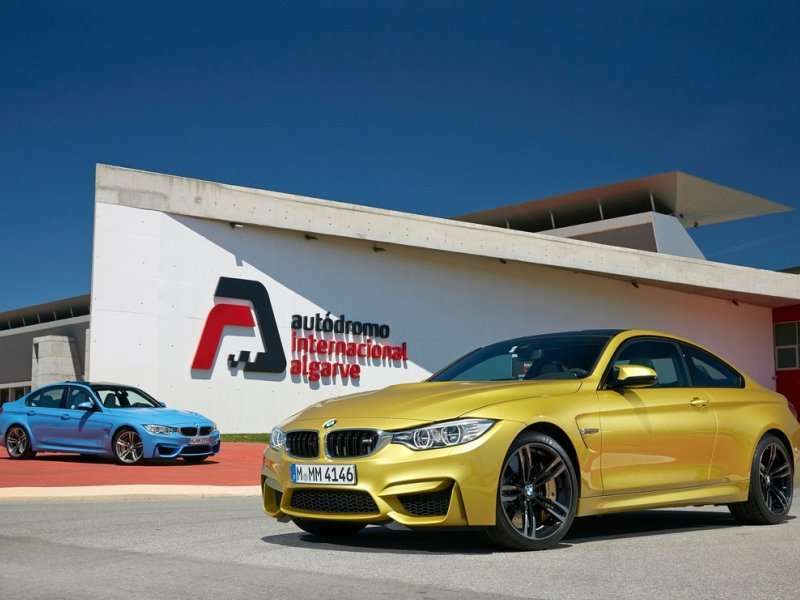 There will also be a M4 convertible, although pricing for that model has yet to be announced. Comprehensively equipped; standard features include a set of 18-inch alloy wheels, smart windshield wipers, auto-leveling Xenon adaptive headlights, power adjustable exterior side view mirrors with automatic dimming, 10-way power adjustable leather upholstered heated sport seats, dual-zone automatic climate control, smart cruise control, navigation with voice command, keyless entry and start, Bluetooth hands free telephony and audio streaming and a leather wrapped three spoke multi-adjustable steering wheel with controls for audio, telephone, and cruise. The $1,900 Driver Assistance Plus package includes speed limit notification, blind spot monitoring, and BMW’s Active Driving Assistant, which incorporates lane departure warning. The $1,900 Lighting Package replaces the Xenon headlights with LEDs and automatic high beams. The $4,000 Executive Package adds retractable headlight washers, comfort access keyless entry, a head-up display, satellite radio with a one-year subscription, a heated steering wheel, a rearview camera, and parking sensor arrays. Performance options include 19-inch wheels and tires ($1,200), carbon ceramic brakes ($8,150), a dual-clutch transmission with Drivelogic ($2,900), and the adaptive M suspension system ($1,000). Standalone comfort and convenience options include USB smartphone integration, a power rear sunshade, BMW concierge services (for dining, hotel, and entertainment recommendations, as well as turn by turn directions), a moonroof, self-parking, a Harman Kardon audio system, and side and top view cameras. The overall design of both M cars is dictated by their aerodynamic requirements. The large openings beneath the front bumper route air for both cooling and roadholding purposes. Yeah, the look is pretty badass too, but this is just a happy coincidence.First consideration is given to function. As an example, “The way in which we channel the inflowing air through the engine oil cooler creates a Venturi effect, which reduces front axle lift and, in so doing, improves the steering,” says Albert Biermann, head of Development at BMW M GmbH. Other styling elements like the M gills with the integrated Air Breather positioned on both sides of the cars near the front wheels minimize turbulence in the front wheel arches. This reduces drag and further enhances the responsiveness of the cars to steering inputs. 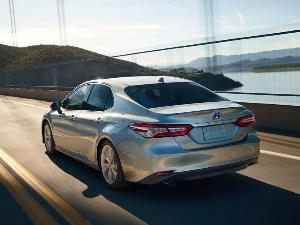 Even the look of the exterior rearview mirrors serves an aerodynamic purpose. Their twin-stalk mounts and delta shape enable the slipstream to flow around them more freely, reducing both aerodynamic drag and wind noise. At the rear of the car, the lip spoiler on the trunk of the M3 and the integrated spoiler designed into the trunklid of the M4 generate additional downforce. That oh-so sporty black roof is more than a design element too. Made of carbon fiber, it adds lightness to the overall structure of the cars, as well as lowers their center of gravity to improve agility. 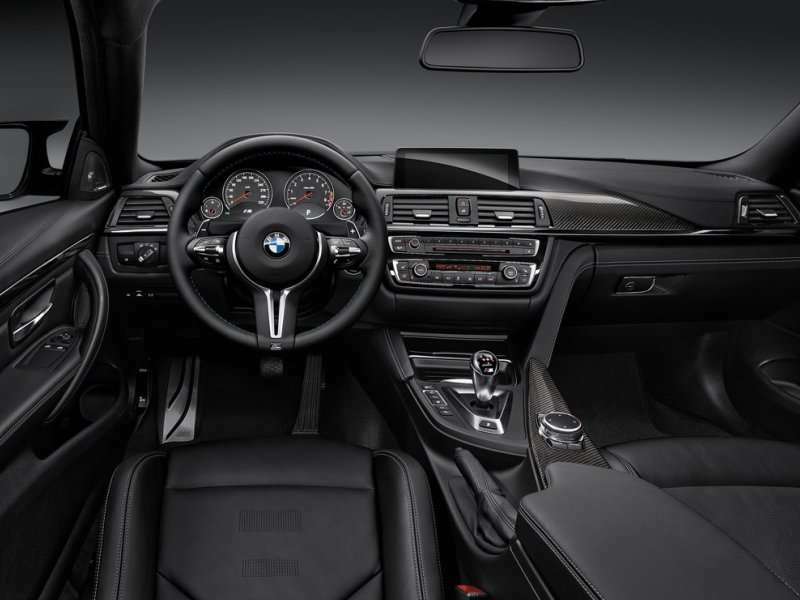 Aside from the M Sport steering wheel, the interior treatment is largely the same as the standard 4 Series and 3 Series cars. This, in fact is one of their most remarkable aspects. Until you decide to use the M3 or the M4 in earnest, you could well be in any of the other BMW models. They don’t goad you into exploiting their performance potential. It’s simply always there in the background whenever you’d like to take advantage of it. With that said, the ergonomics of the M3 and M4 demonstrate the typical BMW attention to business. Solidly engineered, and well thought through; you’ll never find yourself hunting for a control or a switch. Everything is positioned logically and can be located intuitively. The instrumentation is clearly legible, we’re getting used to the idea of the fixed display monitor at the top of the dash, and the extra switches for adjusting the steering, suspension, transmission and throttle response are also logically positioned and easily deciphered. Long story short, this is a car designed to be driven, and developed specifically to work with the driver. A lot of people say the designs of BMW interiors have a tendency to be uninspiring, but they miss the point. This environment doesn’t need to dazzle its occupants with a lot of bells, whistles, and flashing lights. The underlying car is so good; all this interior needs to do is provide a solid interface for your interactions with the car. For the first time, an auto manufacturer has teamed with GoPro for integration of that company’s camera system into a car. A specifically designed smartphone application enables the complete control of the camera through BMW’s iDrive Controller. Recording can be started and stopped at will, camera modes can be switched, and the camera’s battery, WiFi, and elapsed time status can all be monitored in the BMW’s dash mounted display. The biggest difference between the interiors of these M cars and the standard models is the handsomely designed two-piece M sport seats with their integrated headrests. A straight-up throwback to BMW’s racing cars, they’re remarkably supportive, do a great job of holding you in place while you take advantage of the M cars’ capabilities, and they’re heated besides. As you might imagine headroom, shoulder room and legroom in the back seat of the coupe qualifies as precious, while the sedan is a bit more generous in those regards. Further, the rear seat is fixed in position to maintain structural rigidity and improve handling. No split folding rear seat here. As we mentioned before, the 414 horsepower V8 of the previous models has been dropped in favor of a twin-turbocharged inline 3.0-liter six-cylinder with a 7,600 rpm redline. 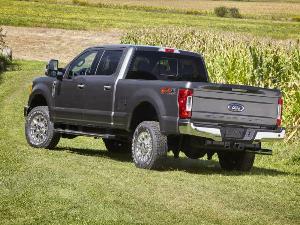 Output is up 11 horsepower over the V8 to 425, and torque is an astounding 406 ft-lbs. Even more impressive, the engine can sustain that torque output from 1,650 rpm all the way up to 5,500 rpm. In other words, the engine is almost always operating in the sweet part of its torque band. Each of the fast-responding turbochargers feeds up to 18 psi of boost to three of the engine’s cylinders. They also employ electric waste gates. Charge pressure control keeps the turbochargers spinning to keep turbo lag at bay. Further, direct injection, variable valve timing, and variable camshaft timing optimize the functioning of the powerplant. Enabling the cylinders to withstand the additional pressures of turbocharging is the closed-deck design of the crankcase. A forged crankshaft adds durability, while the cylinder walls are coated so they can do without sleeves in order to save weight. The engine also uses dual oil pumps and a magnesium oil pan to offset the weight of the second pump. Rounding it out is a water to air intercooler for the turbochargers and seven heat exchangers. BMW offers a choice of two transmissions; a six-speed manual with automatic rev matching on downshifts, and a seven-speed dual-clutch gearbox with BMW DriveLogic. The DCT offers an automatic mode and a manual-shifting mode. Shifts are executed with no interruption of power. The DCT also features a launch control mode to maximize acceleration. Further, the transmission is smart enough to recognize when the car is understeering and opens its clutch to relieve power and help pull the car back into line. The hollow carbon fiber driveshaft rotates quickly, saves weight overall, and is remarkably robust. 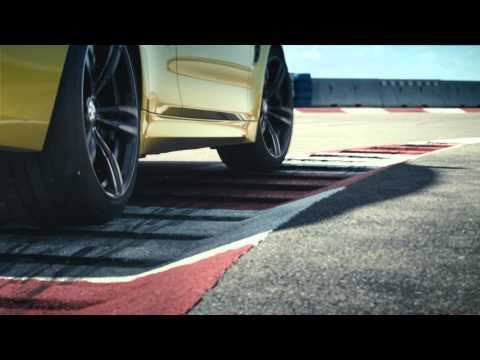 Adapted from racing cars, it contributes significantly to the elevated performance capabilities of the M cars. First off, you will have no idea the engine is turbocharged. There is no turbo lag whatsoever, just powerful thrust throughout the rev range. The sound of the engine is absolutely unique. It doesn’t sound like a six, nor does it sound like an eight. It does however sound like the thinly disguised racing engine it is. Utterly thrilling, you wll be giddy with pleasure every time you run the free winding engine up to its 7,600-rpm redline. 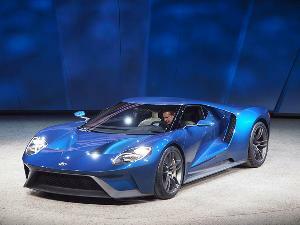 Further, it pulls as if it has way more than 400 horsepower. 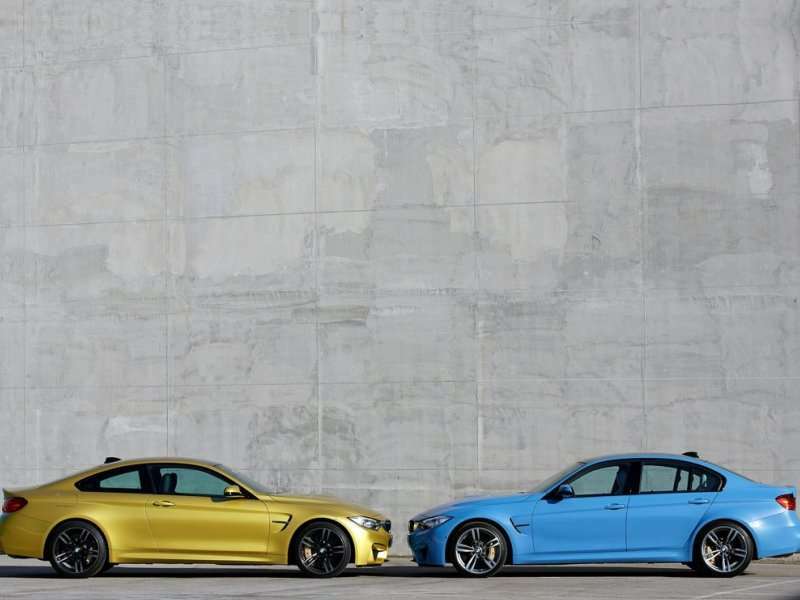 As smooth as every BMW we’ve ever driven, but with reflexes turned up to 11, the M3/M4 siblings make every aspect of driving an act of entertainment. In addition to fast and powerful, the cars feel incredibly solid. Some of this is due to the way the five-link rear axle’s subframe is bolted directly to the bodies. There’s no liner or bushings, it’s attached directly to the cars. This takes any potential flex out of the driveline, so you feel directly connected. BMW’s spokespeople say the M3 and M4 use electric power steering. We have to take them at their word because there’s no way you’ll ever know it from behind the wheel. The steering is direct, with linear response, and all sorts of information about the road’s surface communicated directly through the steering wheel. You can attack corners at insane speeds and the car just sticks. If it does threaten to get loose, the M Dynamic Mode kicks in (absolutely unobtrusively) to keep the car going in the direction you want it to go. Before it does so though, it allows you to hang the car’s tail out and drift if that’s what you want to do. Then, if the system senses a potential over rotation, it kicks in to keep you out of the weeds. It’s amazing. Long story short, you’ll feel like a hero driving these cars. You can take advantage of all of the assistance BMW’s engineers have built into them, or you can switch it all off and do it on your own. And that’s the truly remarkable thing here; you have choices. You can choose how quickly the transmission changes gears. You can choose the amount of assistance you get from the power steering system. You can choose how firm the suspension system rides. You can choose how aggressive the stability and traction control systems perform, and once you find a pair of combinations you love (say one for cruising and one for all-out performance), you can preset them and call them back up at the touch of a button on the steering wheel. 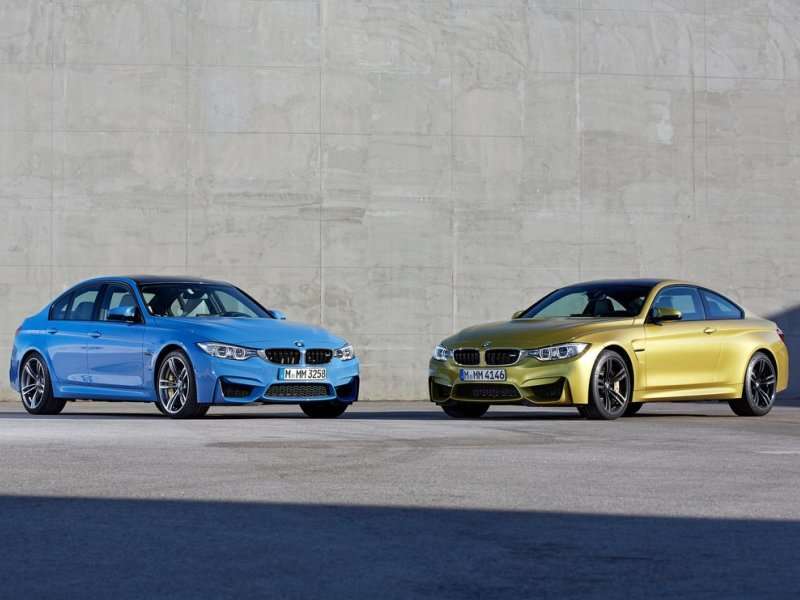 With these two BMWs, you really can have things exactly the way you want them.